The Priority Admission Application deadline is August 1. San Juan College has an open door policy for admission of students who have graduated from an accredited high school, earned a GED certificate, or who through age and experience, qualify for admission as a non-high school graduate. Note: Admission to the College does not ensure admission to a particular course or program of study. Each student is encouraged to consult with a professional academic advisor at San Juan College in the selection of a program consistent with the student’s interests and abilities. Regular degree-seeking students will be assigned an advisor from the Advising and Counseling Center who will assist the student in successfully transitioning to San Juan College. After the student has completed 24 credits and completed any required developmental coursework successfully, the student will be assigned a faculty advisor in his or her program of interest. Graduate from a regionally accredited high school or home school/private program. Home school/private non-accredited students who have graduated may not be eligible for Financial Aid. Completion of the GED is recommended. Note: All regular degree-seeking students receiving financial aid or veteran’s assistance must apply for regular degree seeking admission. Be at least 16 years of age by the first day of the semester of attendance and have graduated from high school. Sign the “Underage Student Release Waiver” and understand the content for students attending San Juan College under the age of 16. The waiver can be obtained from the Enrollment Services Office. Non-degree admission is intended for the student not seeking a degree or certificate at San Juan College or for students who do not meet the requirements for regular degree-seeking admission. A student who has not graduated from high school or completed a GED program may be admitted as a non-degree student, provided the student is at least 18 years of age on the first day of the term the student is enrolling in and his/her class has graduated from high school. Courses taken as a non-degree student may be transferred to another college, taken for job improvement, or personal enrichment. No college or high school transcripts are required to be admitted as a non-degree student. Unless the student has completed courses at another institution that may be pre-requisites for a course they wish to take at SJC. Non-degree seeking students may register for up to 18 credits per semester. Please note: Admission as a regular degree-seeking student is required to be considered for financial aid or to earn any type of degree. Non-degree seeking students who wish to enroll in English, mathematics or reading courses at San Juan College are required to satisfy the prerequisite and co requisite course requirements for all courses. *Note: These students are not eligible for Financial Aid unless they have received an Associate’s degree or higher. As of July 1, 2012, students are not eligible for any financial aid unless they are degree-seeking, and have a high school diploma, GED, or eligible home-school acceptance. Early admission is for high school students who are currently enrolled in high school or home school and wish to take college classes. College classes taken under early admission count for college credits, it is up to the respective high school to determine whether those credits will count as credit at the high school. Early admit students are admitted as non-degree seeking and therefore are eligible to register for up to 18 credits per semester. Non-degree admission status students ARE NOT eligible for any financial aid. Submit high school transcript to demonstrate college readiness for the course in which they intend to enroll by meeting the course pre/corequisites. Early admit students may take any course with the exception of classes for audit. Early admission status is allowed during each term including Spring, Summer, and Fall. Meet with their high school counselor to determine eligibility and available courses. Submite high school transcript to demonstrate college readiness for the course in which they intend to enroll by meeting the course pre/co requisites. Submit Dual Credit Approval Form to Enrollment Services. This is a one-time form that is mandatory to complete the admissions process. MUST include the STARS ID number (Home School students may request this from the state). Be enrolled at least part time in a home school program or a high school in which the school district has an approved Statewide Dual Credit Master Agreement with San Juan College. San Juan College is pleased to have a program authorized to admit F-1 and M-1 international students for degree seeking status. Below you will find detailed information regarding admission requirements and general notes about SJC’s international student admission policies. The following requirements must be met and the proper accompanying documents (translated in English) must be on file with Enrollment Services at least six months prior to the semester of first attendance. Once it is determined that a student meets all the necessary requirements, an I-20 will be issued whereby a student may obtain an F-1 or M-1 visa. International students are responsible for locating suitable housing. Campus housing is not available. International students should be prepared to provide their own local transportation. Public transportation services are minimal. Students already attending college in the United States must follow the international student admission procedures in addition to working with their current institution to transfer their SEVIS record to SJC. Additionally, transferring students must have a cumulative grade point average of 2.5 on a 4.0 scale and must not be on academic or disciplinary probation or suspension. In compliance with F-1 visa requirements, San Juan College will only award Associate of Arts, and Associate of Science, and Associate of Applied Science degrees to Regular Degree- Seeking On Campus international students. Financial aid is not available to international students. This includes grants, loans, and work-study. International students must enroll in at least 12 credit hours in their program of study each semester and maintain a 2.0 or above cumulative GPA. San Juan College policy does not allow international students to work on campus. Credits earned at colleges outside of the United States may be eligible for transfer. To be considered for transfer credit, the credits must be translated and equated by World Education Services (WES): http://www.wes.org/ or any NACES member: http://www.naces.org and sent directly to San Juan College Enrollment Services. The student is responsible for payment of the required fee and for providing all required documentation. International students pay non-resident tuition, general fees, plus a $200 per credit hour international student fee. Please refer to the current Tuition and Payment webpage: http://www.sanjuancollege.edu/student-services/departments/enrollment-services/tuition-rates/ for tuition and fee rates. A San Juan College application must be submitted. The application must have the prospective student’s name on it exactly as it is stated on their passport. All international students must have completed a secondary school and been awarded a diploma. Official secondary school transcripts of all coursework, translated to U.S. equivalencies, must be provided. If the student has completed 15 college level credits with a minimum 2.0 GPA the requirement of official high school transcripts is waived. All transcripts must be sent directly to Enrollment Services from the translation and evaluation services of World Education Services (WES): www.wes.org or any NACES member: http://www.naces.org. Credits earned at colleges outside of the United States may be eligible for transfer. To be considered as transfer credits, the credits must be translated and equated by World Education Services (WES) or any NACES member and sent directly from the member to San Juan College Enrollment Services. The student is responsible for payment of the required fee and for providing all required documentation to the evaluation service used. A SJC financial statement must be filled out indicating sufficient funds are available for the student’s education and living expenses for the first 12 months. The signed and verified financial statement must show an account balance of no less than $25,000 USD per academic year - Fall/Spring. If courses are taken during the summer semester, an additional $8,000 USD must be added. Note: Financial amount subject to change. Please refer to the Schedule of Classes for the current financial, tuition and fee schedule for the semester of application. Proof of current health and accident insurance must be provided. This can be foreign insurance but the student must have coverage while in the US. Once on campus, international students will need to meet with the Director of Admissions & Recruitment and an Academic Advisor for placement and course schedule purposes. After all items have been received, and the student is admitted, an I-20 will be sent to the student in preparation for obtaining an F-1 or M-1 visa. All new students must arrive in time to attend a New Student Orientation session before classes start. Apply to San Juan College as a non-U.S. citizen. All new students must complete an online New Student Orientation session before registering for class. Students will work with their online advisor for class advisement and registration. Online international students pay non-resident tuition and general fees. Please refer to the Tuition & Payment webpage for current rates: https://www.sanjuancollege.edu/student-services/departments/enrollment-services/tuition-rates/. If at any point online international students wish to change to “regular” admission status (attending face to face classes toward a degree), they will need to satisfy all the “regular degree-seeking international student” admission requirements. Note: online programs are not eligible for student visa application. International students are welcome to apply to San Juan College as a non-degree seeking student. Non-degree admission is intended for the student not seeking a degree or certificate at San Juan College or for students who do not meet the requirements for either Regular degree seeking on-campus admission or online program admission. A student who has not graduated from high school (or the international equivalent of a United States high school) may be admitted as a non-degree student, provided the student is at least 18 years of age on the first day of the term the student is enrolling in and his/her class has graduated from high school. Courses taken as a non-degree student may be transferred to another college (check with the college you are transferring to for complete listing of transferrable classes), taken for job improvement, or personal enrichment. International students do NOT need to be in an F-1 or M-1 status to be non-degree seeking and no college or high school transcripts are required to be admitted as a non-degree seeking student. NOTE: If a student wishes to change their admit status from non-degree seeking to regular degree seeking on-campus admission or online program admission, they must meet all the criteria as stated above for each respective admission type. Non-degree seeking students who wish to enroll in English, mathematics, or reading courses at San Juan College are required to satisfy the prerequisite and co-requisite course requirements for all courses. Non-degree seeking international students pay non-resident tuition and general fees. Please refer to the Tuition & Payment webpage for current rates: https://www.sanjuancollege.edu/student-services/departments/enrollment-services/tuition-rates/. Any transfer student applying to San Juan College who intends to work toward a degree or certificate from San Juan College should apply for regular degree seeking admission. Note: All transfer students receiving financial aid or veteran’s assistance must apply for regular degree seeking admission. Transfer students are treated as first-time students for satisfactory academic progress. Applicants under disciplinary suspension from another institution will not be considered for admission during the period of suspension. Students who conceal prior attendance at other institutions or who falsify information will be subject to immediate suspension. It is the responsibility of the student to provide course descriptions from their previous college or universities to aid in proper evaluation of credit. Applicants are required to submit official transcripts from all regionally accredited colleges or universities. If the student attended a non-accredited college or university, transcripts are not required as credits from non-accredited institutions are not accepted; however, high school transcripts are required. Students who attended an international high school or college must have their transcripts translated and equated by World Education Services: www.wes.org or any NACES member www.naces.org. Facsimile transcripts, or those marked “issued to student” are not acceptable as official transcripts. An official high school transcript or GED report as well as all official transcripts from regionally accredited colleges and universities must be sent to the Enrollment Services office for consideration. Careful review of these policies is very important before enrolling in any coursework outside of San Juan College. Once the transcript is evaluated, students will receive an evaluation of transferrable credit in the mail. A grade of “C” or better must be earned in all courses transferred to San Juan College; this coursework does not alter the San Juan College grade point average. Any course considered developmental by the institution it was taken at will not be considered for transfer to San Juan College. A course taken at another college will not be considered for transfer in to San Juan College as a developmental education course. Courses taken pass/fail may be eligible for transfer if the institution defines “pass” as a “C” or better. Application Fee Waived: Currently, there is no application fee for electronic application submission and a $10.00 application fee for paper based application submission. Active military and/or veterans, spouses/dependents will have this fee waived. Guaranteed 2 Physical Education Credits ( PHED-1620 ) based on submission of military transcript showing Basic Training requirements and/or showing a minimum of one year of service. Priority Registration New active military and veterans can register the first week of open registration. San Juan College will grant in-state tuition for all active duty armed forces members and veterans regardless of current state of residency. The following conditions apply: 1. Active Armed forces members must self-Identify themselves when applying to San Juan College and submit a San Juan College Military waiver form for verification. Veterans must self-identify themselves when applying to San Juan College and provide copy of or discharge papers for verification. Spouses of Veterans may receive in-state tuition with proof of marriage and copy of the Veteran’s DD-214. Tuition Adjustment will only occur after verification of veteran or military status. In accordance with New Mexico State Law Any person, their spouse or dependent child, not otherwise entitled to claim residence, who is a member of the armed forces of the United States or armed forces of a foreign country assigned to active duty in the state of New Mexico, will be assessed in-state tuition rates. In accordance with SB 136 (2009), in order for a veteran who is not a resident of New Mexico to receive in-state tuition rates, the veteran shall use the veteran’s federal educational benefits at a state public post-secondary institution. Conditions apply - work with the San Juan College Veteran Center to determine benefit eligibility. San Juan College (SJC) recognizes that college-level learning occurs outside the academic arena. To recognize students’ achievement outside of formal higher education, SJC has instituted the following policies and procedures. These policies and procedures ensure that SJC is responsive to lifelong learners and that credits awarded maintain academic integrity. The term “credit for prior learning” (CPL) refers to all of the processes SJC uses to assess evidence of learning and to award academic credit in accordance with the College’s academic and administrative standards. CPL is awarded for demonstrated mastery of the knowledge, skills, and competencies that students have obtained and that are consistent with college-level learning outcomes. Only students who are currently enrolled in a SJC certificate or degree program may apply for and receive CPL. The student’s prior learning must meet the learning outcomes in existing SJC program courses. A student will receive CPL credit only for courses that meet program requirements in the student’s declared certificate or degree as specified in college publications. Such award must be consistent with other SJC institutional policies. Students may earn up to 75% of their required program credits through any combination of CPL methods. For example, for the typical Associates’ Degree requiring 60 credits, the student could earn up to 45 credits through CPL. For certificates which are typically 30 credits, the student could earn up to 22.5 credits. Students can speak with a school advisor to discuss requirements for a specific program. The remaining 25% of credits earned must meet the minimum academic residency requirement for any certificate or degree sought. Residency requirements are the minimum number of credits that a student must earn from SJC to graduate. This minimum is defined as 15 credits in associates’ degrees and 25% of the total program credits in certificates. CPL credits are considered transfer credits and do not count toward academic residency requirements. Financial aid does not cover the fees associated with CPL assessment. It is important that students note that Veteran’s benefits and other forms of financial aid may be affected by credits awarded through CPL. These credits count toward students’ total earned credits and the 150% rule. Prior to requesting any CPL credit through any of the assessment methods, students should determine how these credits may affect them by consulting with a financial aid advisor. The American Council on Education (ACE) Military Guide serves as the basis for assessing military training and occupations for CPL credit. Credit is assessed on a case-by-case basis for military training that has not been evaluated by ACE. This assessment is done by the academic school that offers the course. Credit will be awarded for passing scores on some national for-credit examination programs such as the College Board College Level Examination Program (CLEP), Advanced Placement (AP), International Baccalaureate (IB), and DANTES Subject Standardized Test (DSST) exams. Passing scores are listed in the SJC College Catalog under Enrollment Services, Credit for Prior Learning. Challenge exams are not offered for courses in which there is an approved standardized exam. Some institutionally-prepared exams have been developed for specific SJC courses. These exams are listed in the San Juan College Catalog at Enrollment Services - Credit for Prior Learning - Credit by Course Challenge. If there is no challenge exam listed, the student may contact the Dean of the School to inquire about an alternative assessment. The Dean has the option to offer such an assessment. The School may approve the award of credit for current industry-recognized credentials. These credentials must be validated through the issuing agency or organization. A portfolio consists of documentation demonstrating mastery of the learning objectives for a particular SJC course. The Council for Adult and Experiential Learning (CAEL) standards will be used to assess individual portfolios. A portfolio will not be used to assess CPL if an approved standardized or challenge exam exists. A student may learn more about applying for CPL by contacting an Advisor in the Advising and Counseling Office or visiting the SJC CPL website. SJC will award credit for prior learning only for courses which are active in the SJC catalog under which the student will graduate. SJC will assign the appropriate SJC course title(s) and number(s) to the credit(s) awarded. Neutral grades of CR (credit), not traditional letter grades, will be used for all CPL-awarded credit. CPL courses will not affect a student’s GPA. CPL credits will be applied to the student’s certificate or degree requirements in the same manner as other credits transferred to SJC. CPL is awarded to satisfy SJC graduation requirements and may not transfer to other colleges. To determine if another institution will accept CPL credits awarded by SJC, students should contact the institution to which they intend to transfer. Credit at SJC for CPL awarded at another institution will be made on a case-by-case basis. Students should contact the SJC School to which they wish to transfer CPL credit. Fees charged for any method of CPL must be paid in full prior to the student’s submission of the CPL application. CPL fees will be reviewed and approved annually by the College President. Licensures, certifications, apprenticeships, military credit, SJC workforce training, and articulation agreements: There is no fee for evaluating or granting credit for state, national, or industry/professional licensures and certifications; apprenticeships; military credit; training through the SJC Center for Workforce Development; and articulation agreements. Exams: Students can visit the San Juan College Testing Center website to verify fees associated with standardized exams. Fees for SJC-prepared exams are posted in the SJC Academic Catalog. Fees for challenge exams are $30 per credit. Portfolio Assessment: A non-refundable assessment fee is required in order to submit a portfolio for formal assessment. Students can visit the SJC catalog to verify the Portfolio Assessment fee. In order to appeal a CPL decision, students must complete the Credit for Prior Learning Appeal Form, include any supporting documentation for the appeal, and submit the packet to the Dean of the appropriate School within 10 work days from the original denial of credit. San Juan College grants up to a total of 30 college credits for credit by examination in the following areas: Advanced Placement (AP), American College Testing (ACT), College Level Examination Program (CLEP) and Course Challenge in approved subjects. The process for awarding credit and required score information is highlighted in the appropriate section on the right. Students who took advanced placement courses in high school and earned a score of three or higher may be eligible for college credit at San Juan College. An official score report must be sent directly to the Enrollment Services office by College Board for consideration. The code for San Juan College is 4732.
requirements and in meeting specific curriculum requirements, if appropriate. The maximum number of credits a student can earn through the AP testing programs and other testing programs (ACT, CLEP, DSST) is 30 semester hours. The table provides an outline for AP scores required for credit and the course for which credit is awarded. Note: Scores and credits awarded are subject to change without notice. San Juan College participates in the College Level Examination Program (CLEP) administered by the College Board. SJC grants credit to newly admitted and regularly enrolled students who achieve passing scores on the CLEP exam. Students who are transferring should contact the college or university where they are transferring to acquire information regarding the appropriate exam needed. Students should be aware the CLEP examinations are intended for students with clear strengths in an area. Important: There is a six-month waiting period before repeating a test. Official “institution copy” score reports must be sent directly from CLEP to the Enrollment Services office. A list of CLEP exams and equivalent SJC courses is provided in the table. Note: Test results older than 20 years will not be considered. Note: Students with other CLEP tests in writing and English may request a transfer analysis on an individual basis through the Dean of Humanities. Any currently enrolled student in regular admission status (not on academic probation/suspension) may challenge by examination a course designated as available for credit by examination if he/she has not already taken the course. The manner of administering the examination and the granting of permission to challenge the course shall be determined by the School in which the course is being challenged. Students are responsible for assigned fees of $30 per credit, and the course(s) being challenged. Courses eligible for challenge are listed in the table. San Juan College grants credit to newly admitted and regularly enrolled students who achieve passing scores on the DSST exams listed below, as approved by the appropriate SJC academic departments. Students should be aware the DSST examinations are intended for students with clear strengths in an area. Important: There is a three-month waiting period before repeating a test. Official “institution copy” score reports must be sent directly from DSST to the Enrollment Services office. Standard level exams. Use the table below to find the credit awarded by SJC for your exam score. The following licenses and/or certifications are currently accepted as Credit for Prior Learning at San Juan College. Academic credit is awarded to students with current licenses/certificates who are working toward a degree within the same field to which they are currently hold a license/certificate. Simply obtain the appropriate Credit for Prior Learning Form from the appropriate Dean. Include a copy of your license or certification with the completed form back to the Dean. Portfolios consist of documentation submitted for credit and which demonstrates mastery of the learning objectives for a particular SJC course. Individual portfolios will be assessed using Council for Adult and Experiential Learning (CAEL) standards. If an approved standardized or challenge exam exists, portfolios will not be used to assess CPL. Students can find out how to get started by contacting an Advisor in the Advising and Counseling Office or visiting the SJC CPL website. Students who have discontinued their attendance at San Juan College may reinstate their records through the Enrollment Services Office. Contact the Enrollment Services Office to complete this process and update address information and any other changes that have occurred, since the student’s last enrollment. San Juan College takes a multiple measures approach to eligibility for direct placement into college level courses. The primary placement measure is cumulative high school GPA (unweighted), but other measures such as GED test scores, ACT, SAT, PARCC scores, or other evidence of achievement can be used to determine what courses a student may take. All students must take the Smarter Measures inventory as part of the enrollment process. This inventory helps advisors understand non-academic factors that may influence student success. Most students with a qualifying high school GPA can enroll directly into college level courses without a placement exam and without repeating courses they successfully completed as high school students. When students meet with advisors they will review high school achievements with a focus on the cumulative GPA and the highest level of English and Math courses completed, along with the grades earned in those courses. If it’s been a while since a student has been in high school, other information will also be considered to make sure the student has a successful start. Students should arrange to have transcripts and test scores sent to San Juan College or bring that information with them to their advising session. The qualifying GPA for English courses is 2.6. Enrollment in most Math courses depends on the highest high school math course passed with a grade of “C” or better. Students without the above GPAs can still enroll in college courses, but must also enroll at the same time in a co-requisite support class designed to help them be successful. All degree-seeking students in degree or certificate programs requiring more than 30 credits must enroll in the college’s student success course: FYEX-1110 (First Year Experience). This is a course for students of all ages and backgrounds that focuses on life skills and college success strategies. Most college-level courses require college level reading skills. If a student is required to take Reading, we recommend taking it in the first semester. Students with HS GPA lower than 2.6 will generally take RDNG-099 . Students with HS GPA lower than 2.6 may be placed directly into college level courses without Reading if their Smarter Measures assessment indicates a readiness for those courses. All programs and certificates recommend that students take English in their first year. Some courses may require that students be eligible to take ENGL-1110 or have completed ENGL-1110 before enrolling. Students with HS GPA lower than 2.0 first complete FYEX-1110 with ENGL-095 as co-requisite support and may then enroll in ENGL-1110 or ENGL-1210 the next semester. Students requiring additional support after FYEX-1110 /ENGL-095 may take ENGL-1110 and ENGL-099 as co-requisite support as recommended by their instructor. Students with HS GPA between 2.0 and 2.59 may enroll in ENGL-1110 or ENGL-1210 without co-requisite support if their Smarter Measures scores indicates readiness. If support is required students will enroll in either ENGL-099 or ENGL-098 depending on whether they plan to take ENGL-1110 or ENGL-1210 . Students with HS GPA 2.6 or higher place into ENGL-1110 or ENGL-1210 . It is important to know what Math class is required for each student’s program (see the catalog listing for your program). Some programs require a specific math course and some allow options. Again, all programs and certificates recommend that students take Math in their first year. Some courses may require that students have completed their math requirement before enrolling. Technical Math and Practical Math Procedures for Business (MATH-1170 or MATH-1150 ) are open to all students for which it is a program requirement regardless of previous Math experience. Students who did not take Algebra I in high school and whose programs require a course other than Technical Math (MATH-1170 or MATH-1150 ) should start in MATH-096 . Students without high school math should start in MATH-095 . This table explains math placement decisions. MATH-1510 (MATH-188) HS Calculus with C or better or HS Pre-Calculus and Trigonometry with a C or better, otherwise start in MATH-1230 and MATH-1240 , or MATH-1250 (or lower). This program helps students: prepare for academic success, meet other students, assess interests, and register. Sessions are offered both during the day, evening, and online. You will sign up for an orientation once you have completed the Smarter Measures assessment. During the 2005 New Mexico Legislative session, Senate Bill 161, consistent with requirements of state law (Chapter 224 of the Laws of New Mexico, 1995 as amended) was signed into law to further enhance and facilitate the articulation of general education courses among New Mexico’s colleges and universities. In accordance with policies established by the New Mexico Higher Education Department, designated general education core courses successfully completed at any regionally accredited public institution of higher education in New Mexico are guaranteed to transfer to any New Mexico public institution. Students who have decided on a major and/or an institution at which to complete their studies should consult with an academic advisor at that particular institution to determine the most appropriate course selections. Students enrolling for the first year of study at a New Mexico college or university and considering possible transfer into a certificate and/or degree program at another institution are encouraged to take the courses approved for transfer during their freshman and sophomore year of study. The core matrix of approved courses guaranteed to transfer and meet general education requirements of any New Mexico college or university can be found on the New Mexico Higher Education Department website at http://hed.state.nm.us. Click on the “Colleges and Universities” link, then “Transferring Credits” for a listing of courses by institution, under each of the five general education areas. The course prefix and number that appear in parentheses next to many of the institutions’ internal course prefixes and numbers is the New Mexico Common Course Number. This is a four alpha/four numeric set of uniform course designations that serve as a single reference point for courses taught throughout the state that share substantially equivalent content. Courses bearing this designation are part of a statewide equivalence table that cross references the institutional course and number with the universal “common course number” creating an easy one-to-one match. 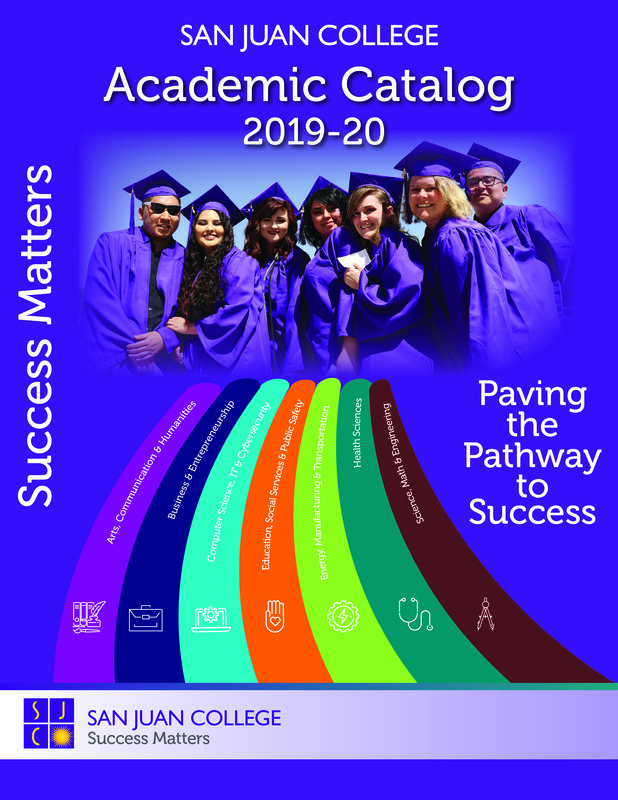 Students may find the New Mexico Common Course Number listed in crosswalks, degree outlines, transfer guides and in course descriptions in college catalogs and websites. Simply put, the common course number connects equivalent courses at multiple institutions, ensuring students that the course will transfer to the receiving institution and meet degree requirements as if it were taken on that campus. With the Associated New Mexico Common Course Number (NMCCN) Designation. For students enrolled at any public institution in New Mexico, courses are guaranteed to transfer to any other New Mexico public college or university and apply toward associate and baccalaureate degree program requirements if they have the same subject and course number.